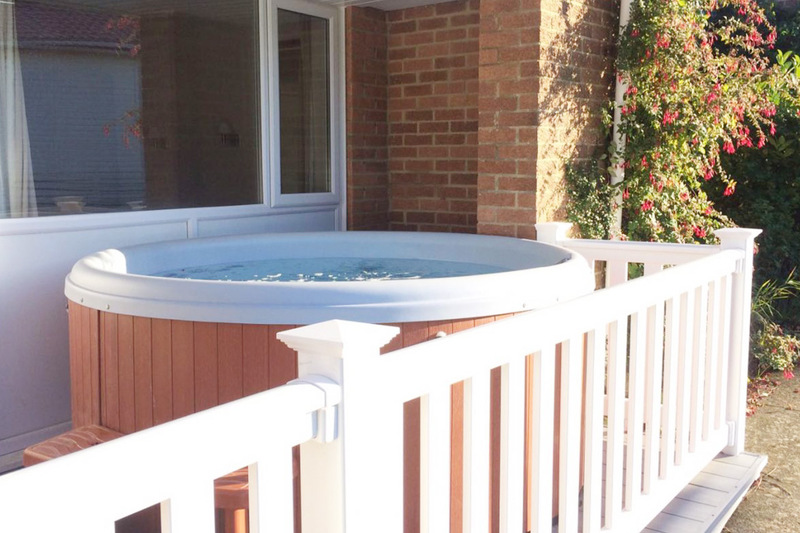 In the UK, Spring is a marvellous time of year to plan a hot tub holiday. 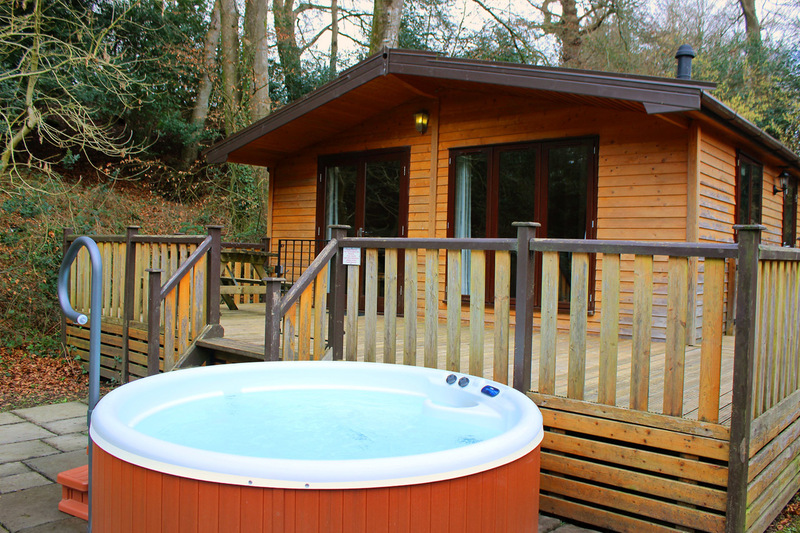 By day, there are still plenty of activities to get stuck into, while the weather’s still mild enough to enjoy afternoon soaks in a hot tub, surrounded by nature. In Japan, a hot tub theme park opened during the summer, where hot tub fans ride on roller coasters in carriages filled with hot soapy water. Over on Iceland’s northern coast, a beer spa has recently opened too. 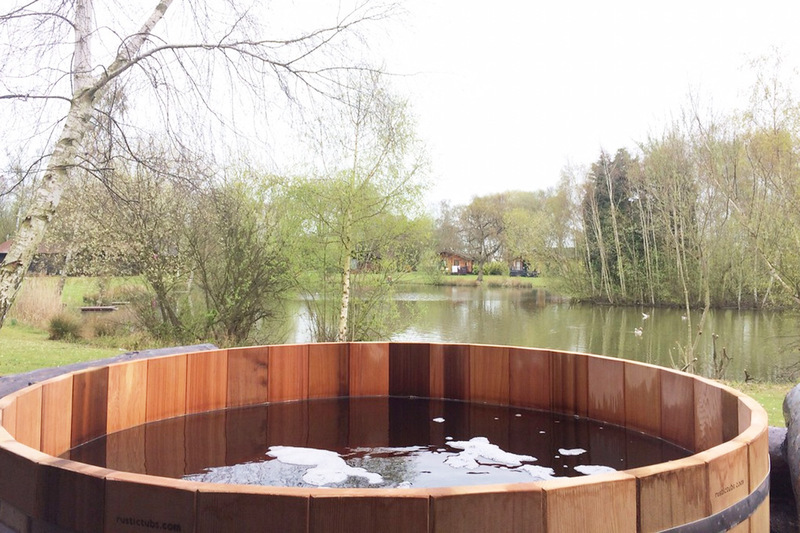 Here, wooden hot tubs are filled with beer, water, hops and yeast. 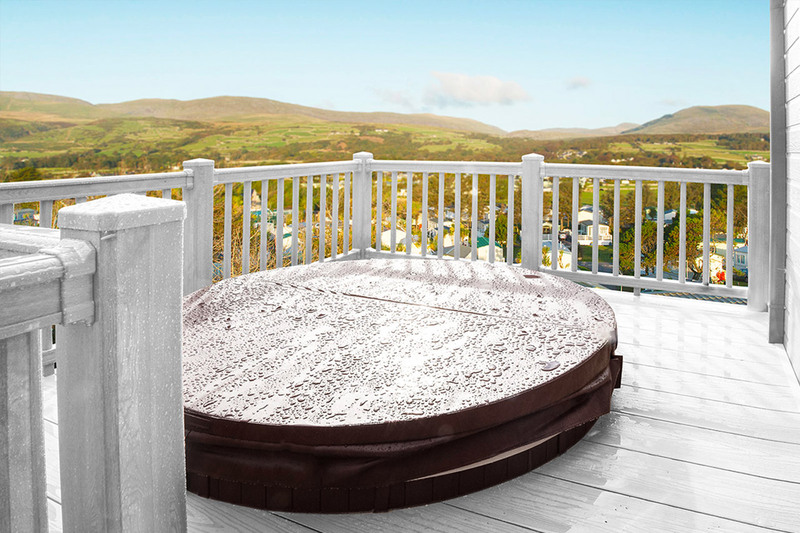 Call us crazy, but we prefer our hot tubs on solid ground, and luxury views to admire. 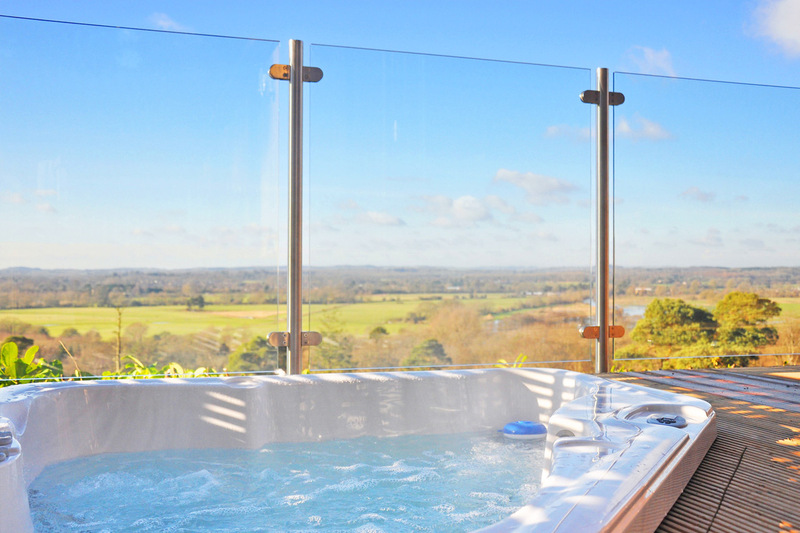 And if that’s the way you like your hot tubs too, we’ve found five hot tub holidays ideal for Spring. 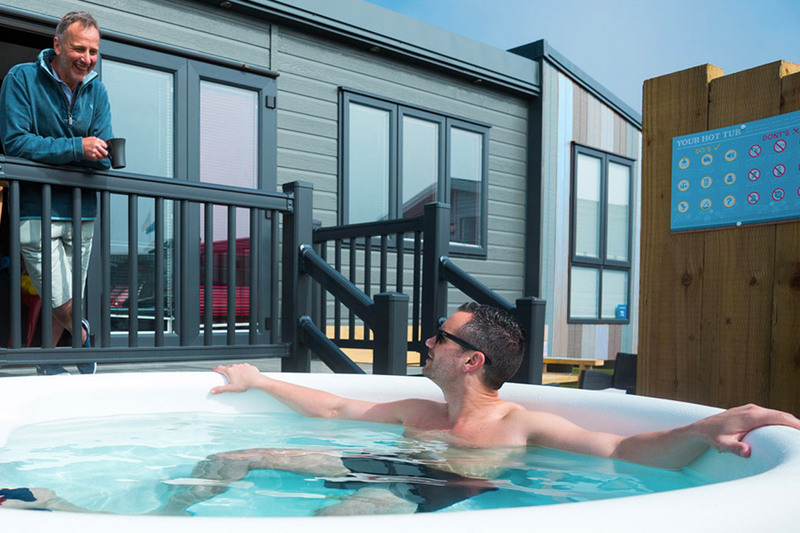 They might sound old fashioned, but step into a chalet at Whitecliff Bay and you’ll see that they are creatively designed, vibrant holiday homes that are frankly jolly nice and super cosy! They are double-glazed, with a door that leads to an outside seating area and hot tub, very handy for when the sun does shine, which due to our fabulous Isle of Wight location, it does a lot! At Whitecliff Bay, you can spend action-packed days zorbing, doing archery or exploring the island by bike. We’re sure you’ll agree that afterwards, a soak in the hot tub is just what the doctor ordered…but hopefully not literally. These New York loft style caravans of the future in Mill Rythe offer open-plan living spaces flooded with natural light, trendy décor and huge windows that make the most of the surrounding nature. The hot tub outside of the TriBeCa is an even cooler revelation. This is a place to find total relaxation after spending days out rock climbing, geocaching or playing hoverball archery. City slicker living meets coastal island surroundings. With ravishing views over the Avon Valley, the Indulgent Vista lodge on an escarpment in Sandy Balls embodies originality and opulence. The avant-garde interior and floor to ceiling windows make the most of the striking views, but the best part is of course the hot tub, found on the veranda outside. This luxury lodge in Barmouth Bay is ultimate luxury boasting two superb views, one of the coast and one of the mountains. High spec furniture and a roomy living/dining area makes the interior a great surprise, but the best discovery of all is the hot tub outside. During the day, wander from your front door to the unspoiled sandy beach or take day trips in Snowdonia National Park. Later on, sit back in the hot tub and soak up your little slice of perfection. Nothing says ‘hot tub holiday’ more than a touch of rural Scandi style. This log cabin in Tattershall Lakes is made with traditional Alpine logs, giving it a snug and intrepid feeling inside and out. The cabin’s private hot tub is on the deck and has flawless views of the lake itself. After days spent fishing from the cabin’s private fishing peg, jetskiing, waterskiing or enjoying our Wakeboard Park, the hot tub is a matchless spot to kick back and take a breather. Or it’s a place to hide from the rest of the family and their water-sporting ambitions.